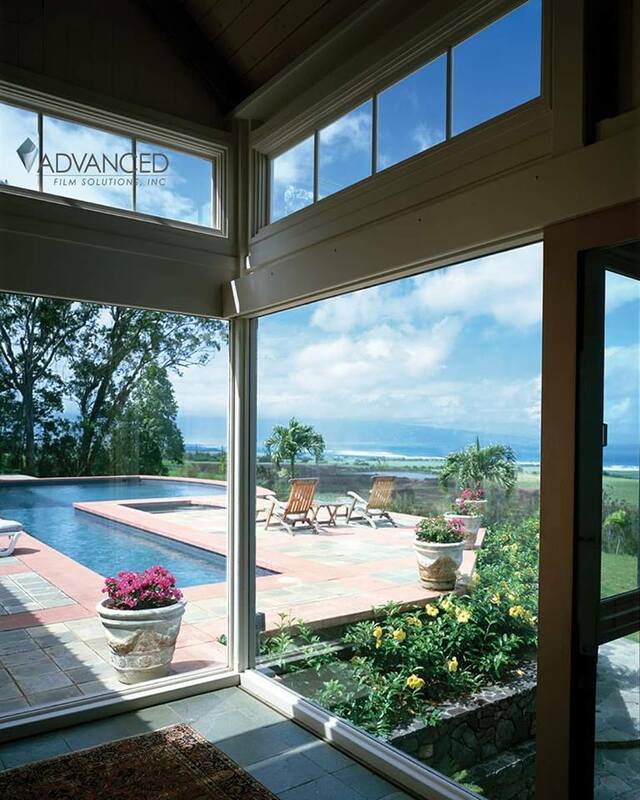 Many homeowners are considering replacing their windows for insulated glass units. 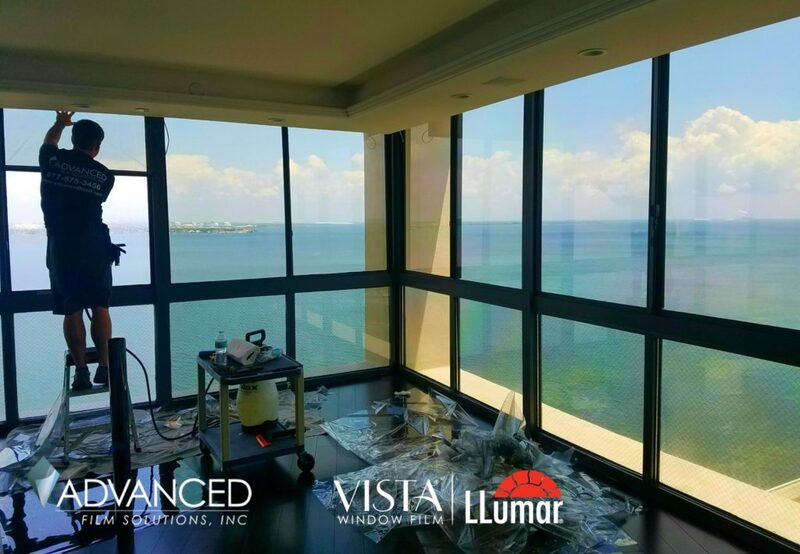 Glass companies will try to convince you that your existing windows are too energy deficient to handle the heat and UV. 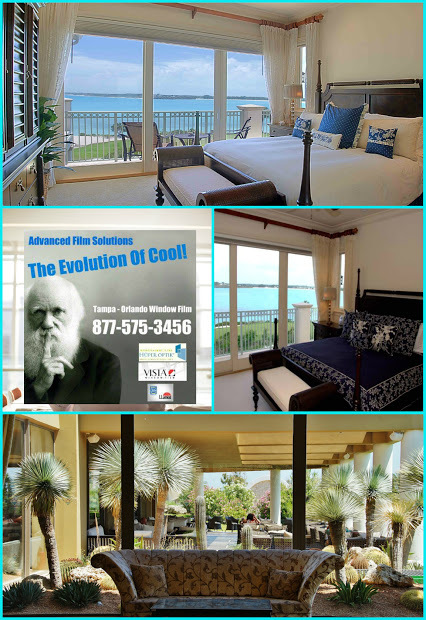 They make a case that only dual pane windows will lower your monthly electric cooling costs throughout our tropical summers. 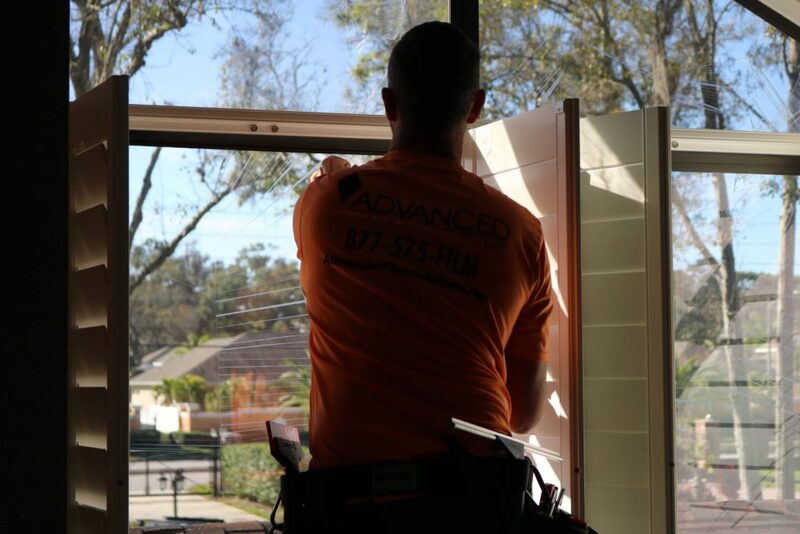 The price tag for a complete window replacement is cost-prohibitive and the payback period is extensive; frequently in the order of 20 years! 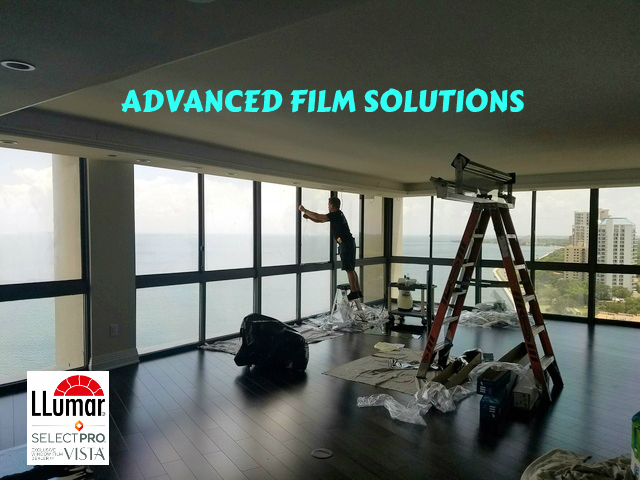 There is a better solution: Advanced Film Solutions. 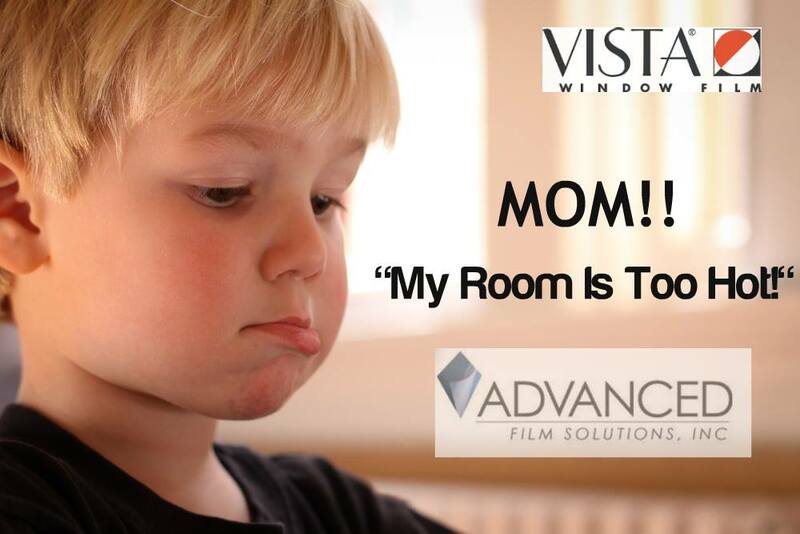 Window film is applied to your existing windows at a cost that is 1/10 that of a window replacement. 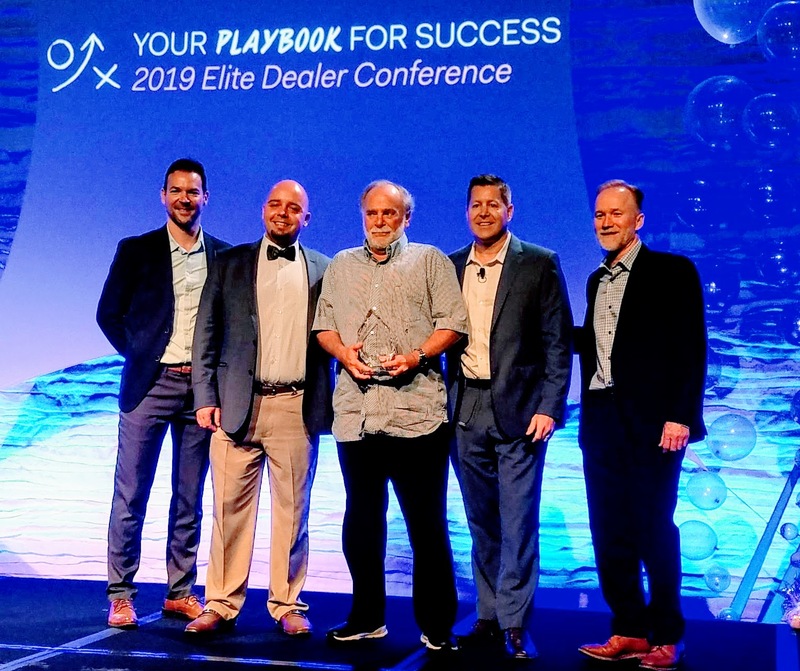 The payback is typically less than 2 years and the warranty is lifetime. 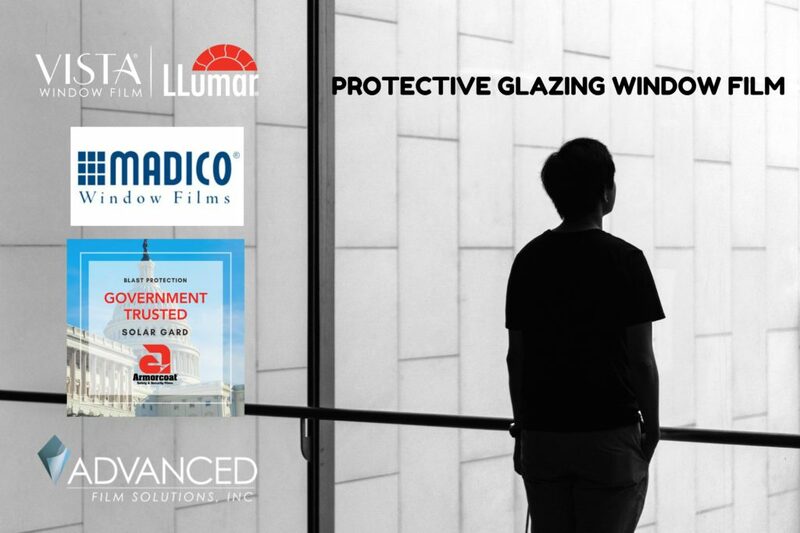 Our NFRC rated coatings increase the efficiency of your windows by filtering out nearly 80% of the heat gain. 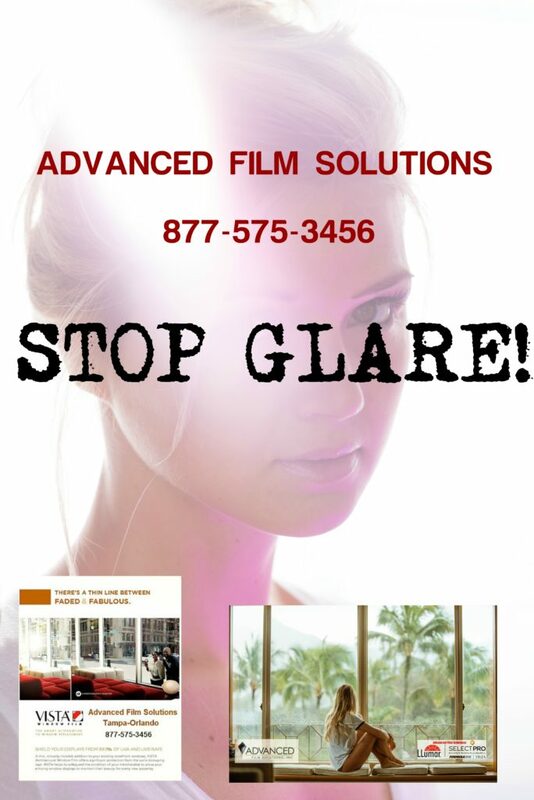 Glare is controlled and the damaging UV rays are eliminated. 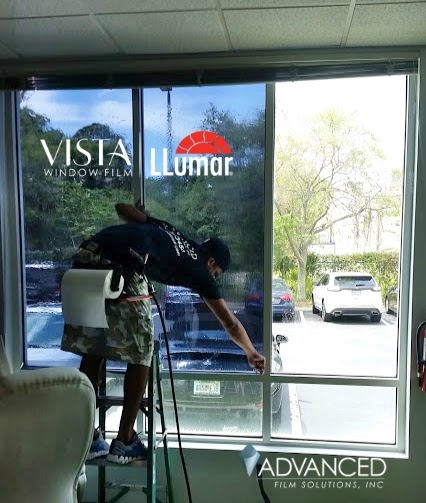 Many of your neighbors have experienced the dramatic difference that window film can make in your home and Advanced Film Solutions has performed more than 14,000 installations in the last several years throughout Tampa Bay, Orlando and Sarasota-Bradenton. 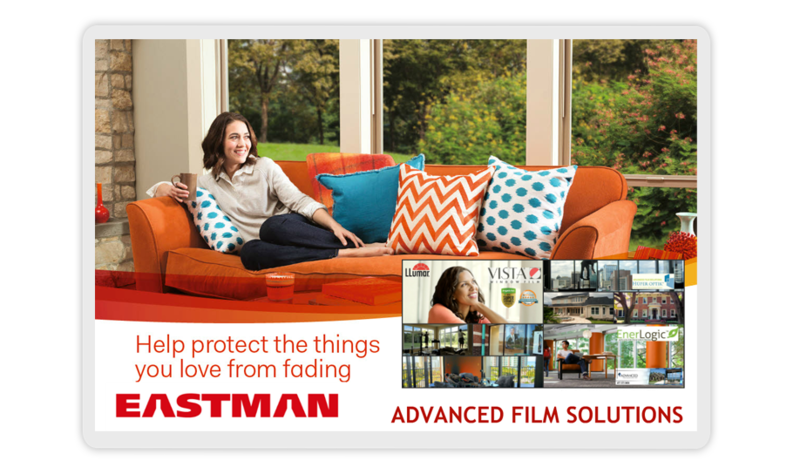 We offer the best performing thin films manufactured by the world leader in window film, Eastman Chemicals. 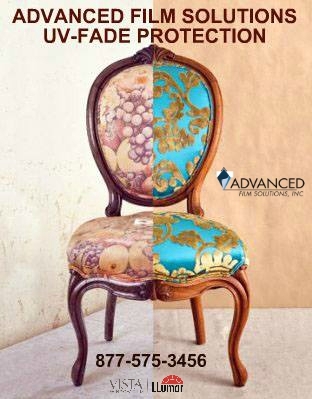 We customize the solution based on our clients requirements. 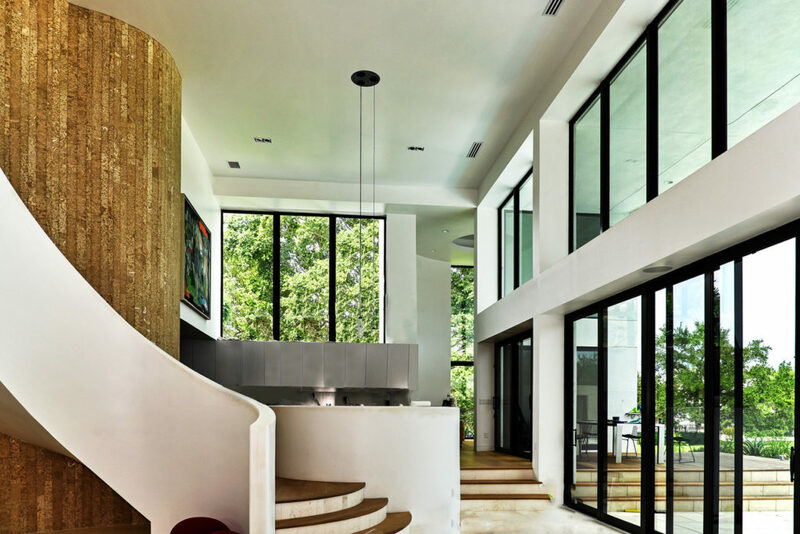 Many homeowners prefer no reflective coatings either based on personal aesthetic preferences or mandated deed restrictions. 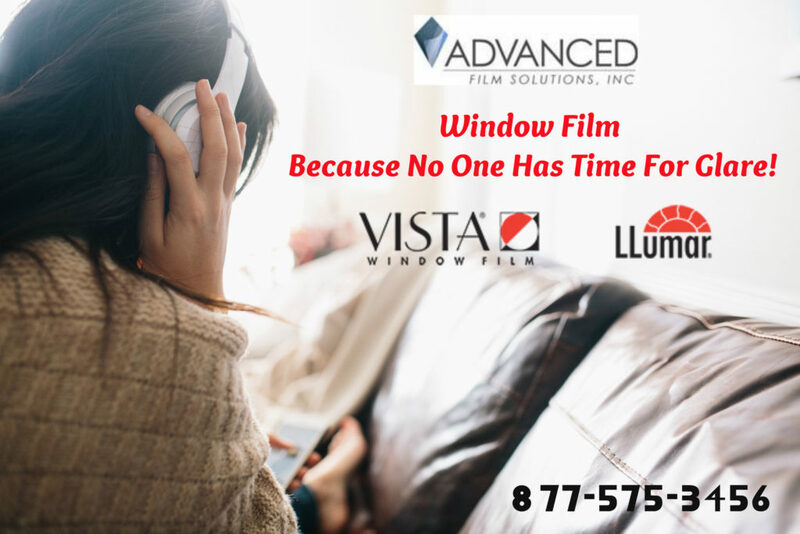 Advanced Film has you covered with our Huper Optik patented ceramic films. 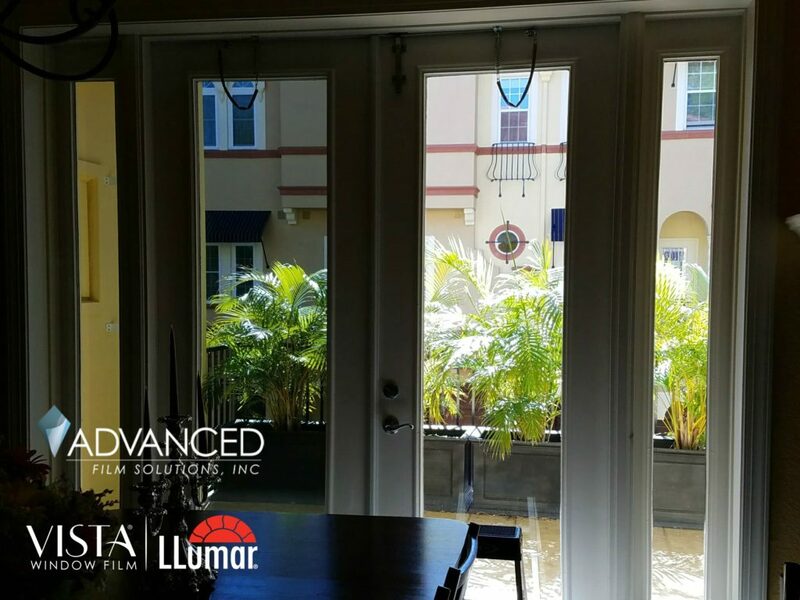 Some clients prefer privacy that is provided by low reflective coatings like Vista or LLumar. 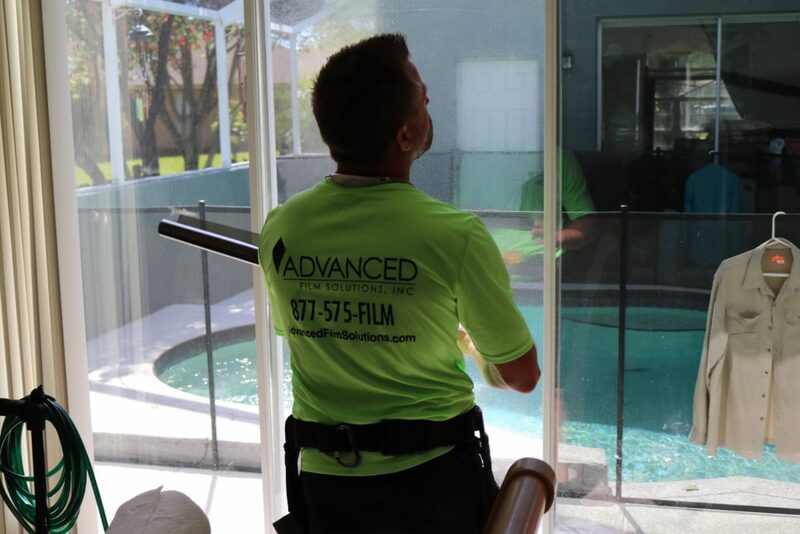 Many homeowners want the dual benefit of safety, security combined with solar control films. These thicker versions keep intruders out of your home. 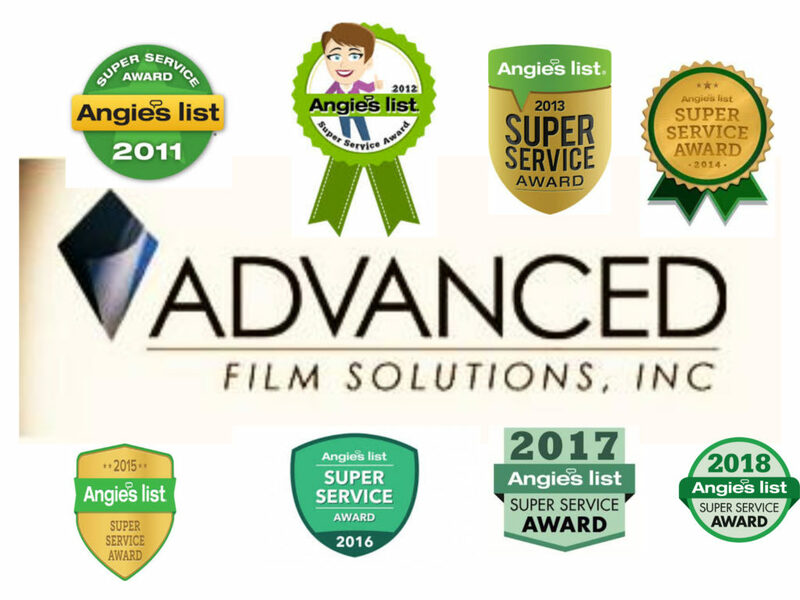 Advanced Film Solutions are experts in window film and our team has earned an A Plus rating with the Better Business Bureau and has been awarded the Super Service Award by Angie’s List for eight consecutive years. There’s absolutely no question you turned on your AC the last few days. After all the temperatures are hovering near 90 degrees and the humidity is nearly at summer levels. 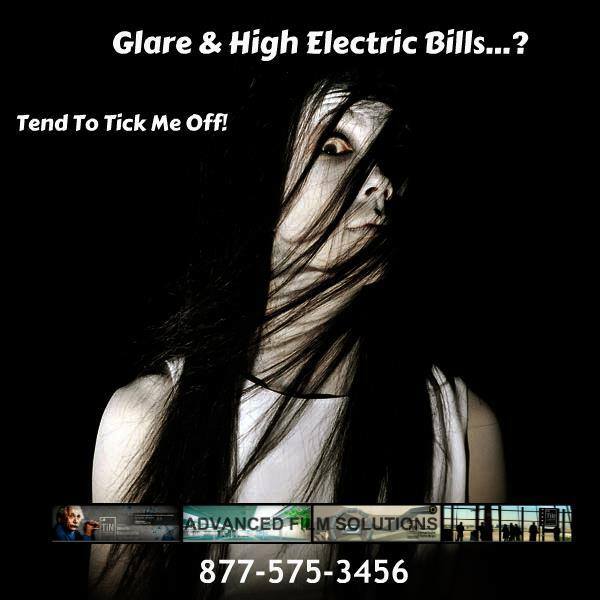 You set your thermostat at your preferred number and grit your teeth when you open next month’s electric bill. 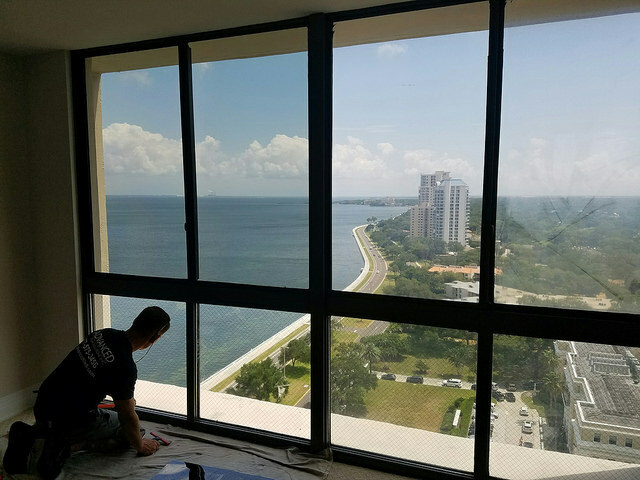 You may not realize that an application of solar control window film can stop nearly 85% of the heat from entering through your windows. This has the positive effect of lowering that electric bill by 30% a month. 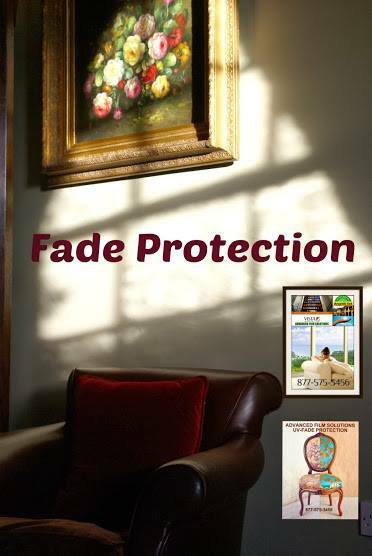 Solar control window film protects your furnishings from fading and paintings from getting lighter and washed out. 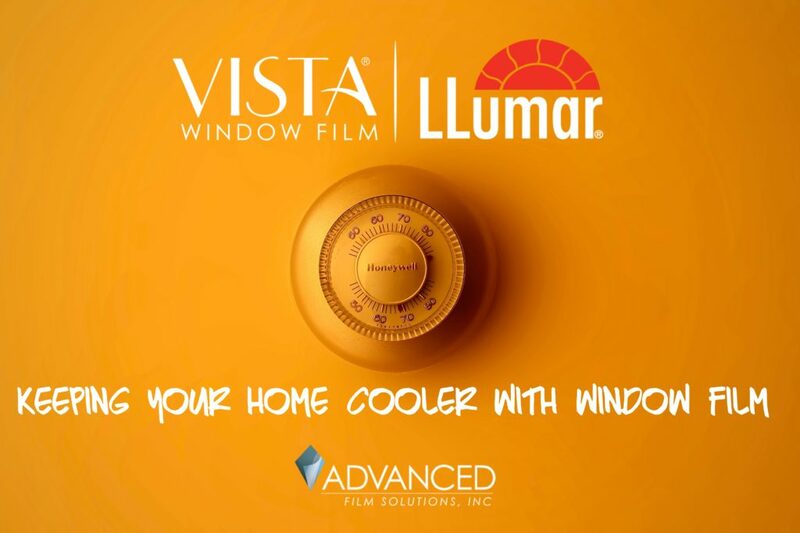 Stopping heat from entering your home right at the window with Eastman Vista, LLumar or Huper Optik window film provides cool pain relief. 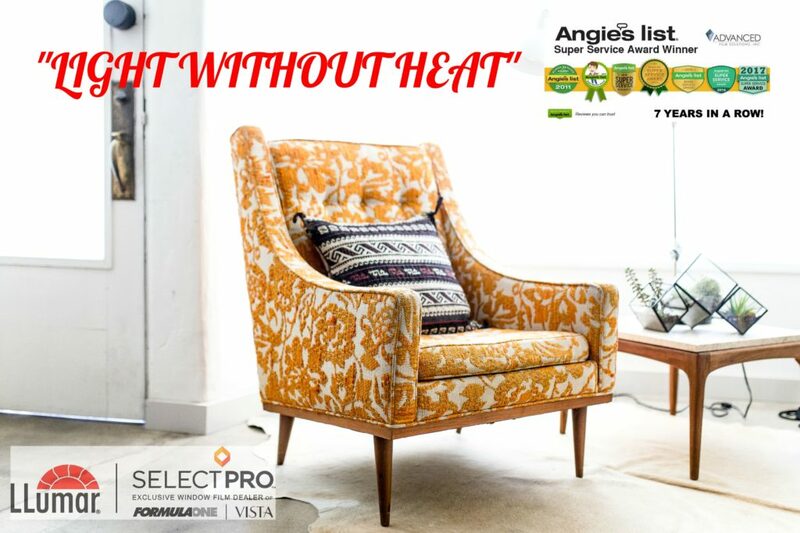 The coating removes harmful UV rays from fading your furnishings or wood floors. 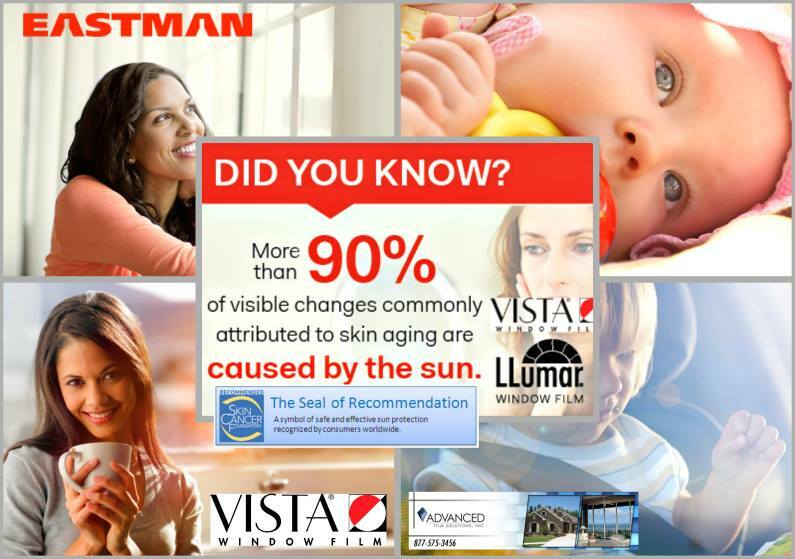 The glare is removed from your family room and watching TV becomes enjoyable again! 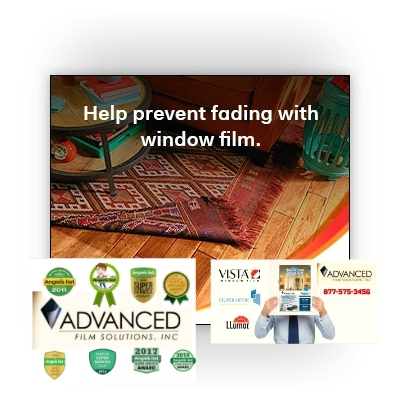 All of our films are warranted for a lifetime and our Vista films have a transferable lifetime warranty. 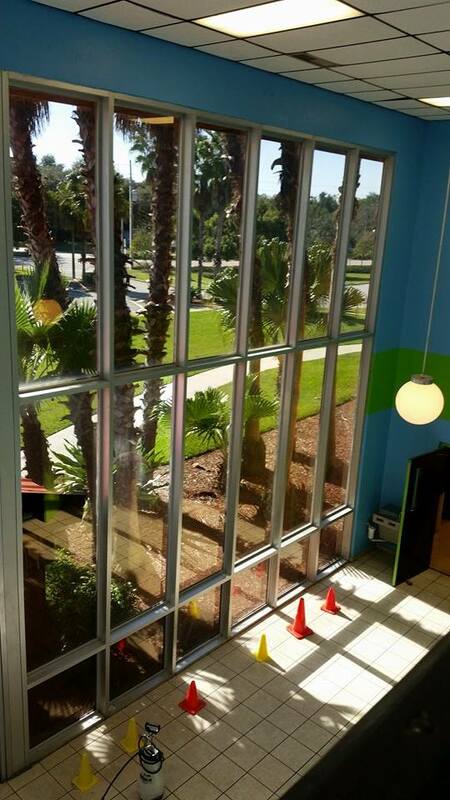 Solar control window film has been available since the 1950’s. The evolution of thin film technology and adhesives has vastly improved over these decades as you would expect. 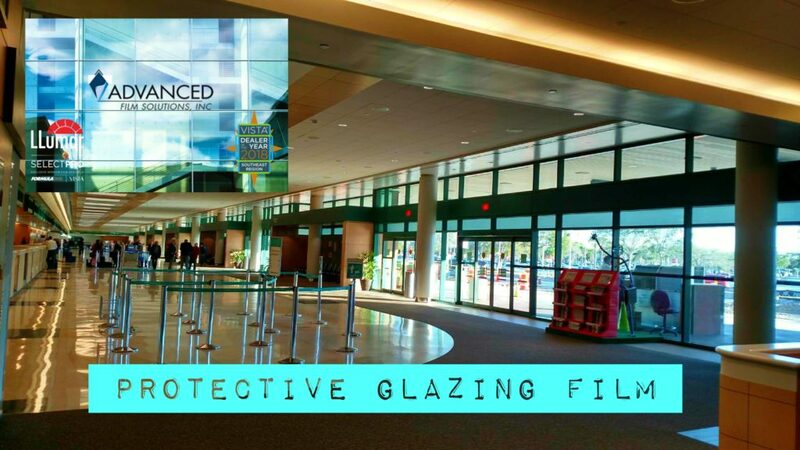 Today’s high teach window films are available in many iterations that provide durable high heat rejection warranted for a lifetime of comfort and reliability. 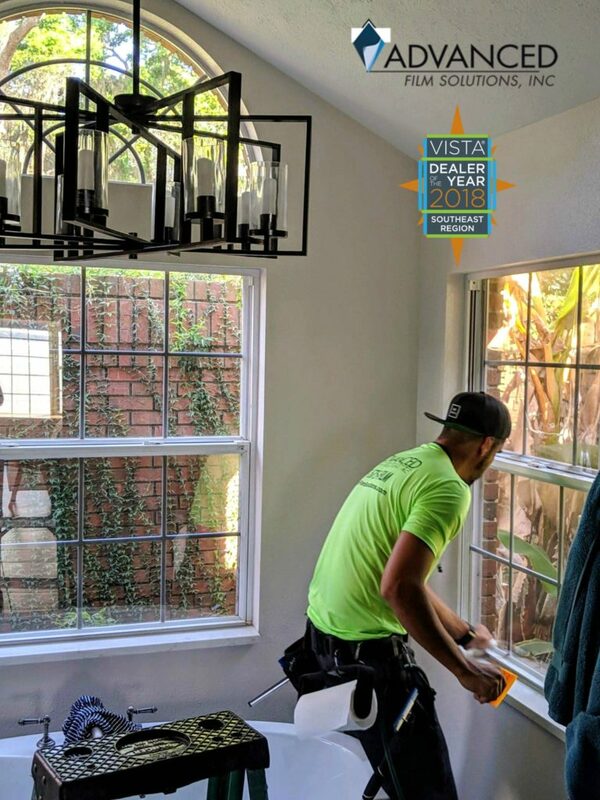 Many consumers prefer lighter coatings that are nearly invisible to cut high temperatures without altering the aesthetic appearance of their home’s windows, doors and sliders. 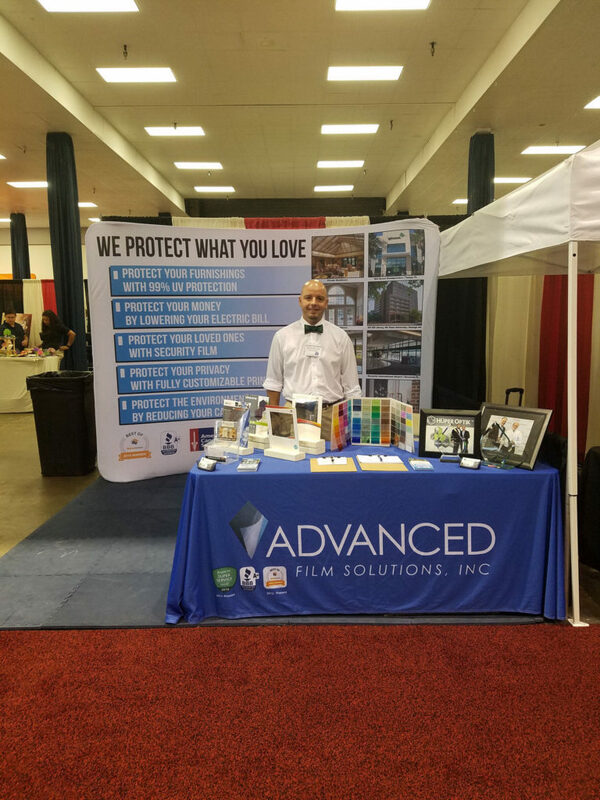 Stop and visit our booth at the Tampa Home Show today through Sunday at the Convention Center! 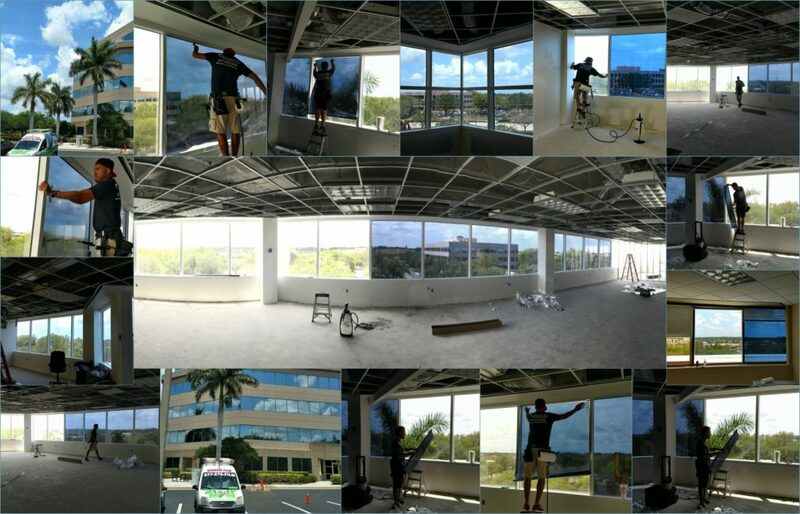 The key objective is to lower cooling costs without adding any interior or exterior reflectivity. 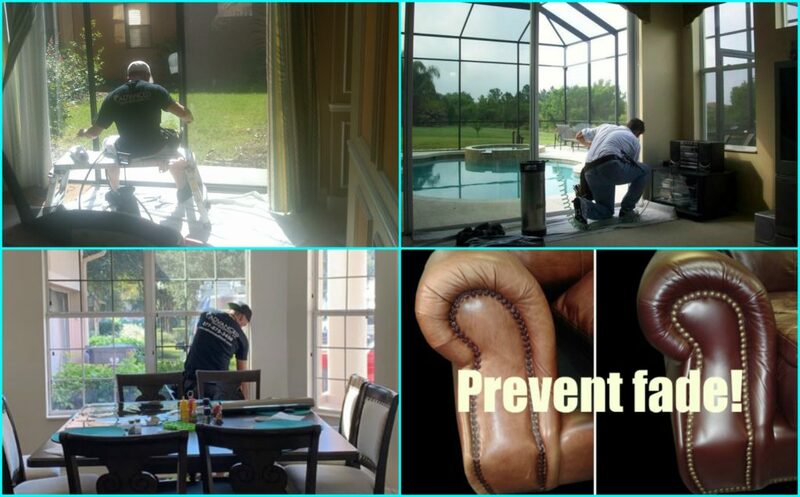 This becomes critically important for deed restricted communities or condominium associations that prohibit reflective films. 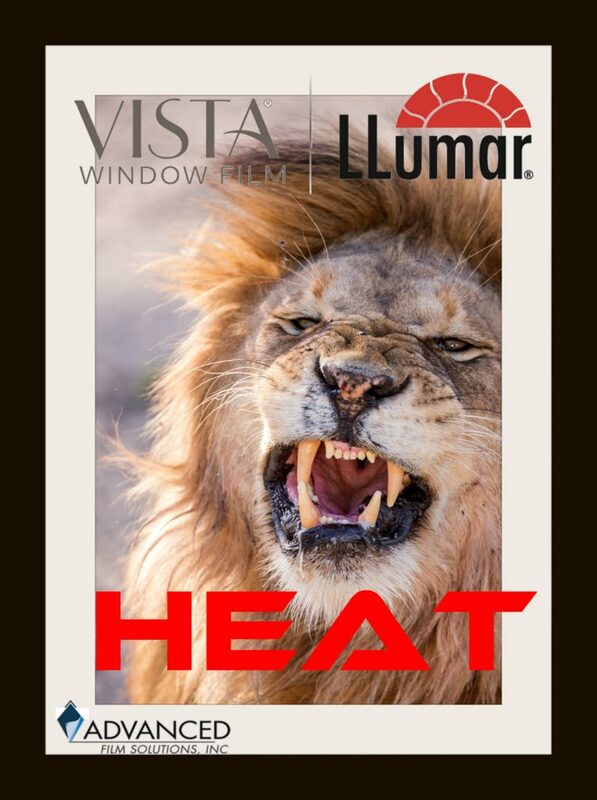 The solution required to provide this type of heat rejection without substantially darkening the windows is the implementation of IR heat rejecting films that attack the invisible wavelengths. 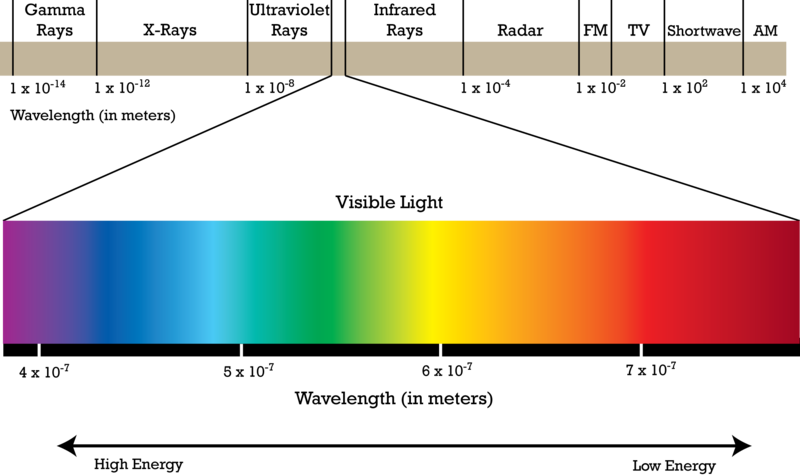 IR wavelengths represent nearly 50% of the total solar energy. 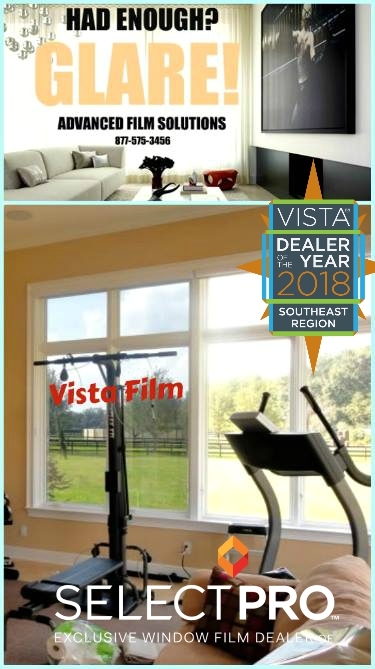 Since visible light wavelengths represent the balance of the total solar energy a window film that combines visible and IR filtering will provide the best value for the home consumer. 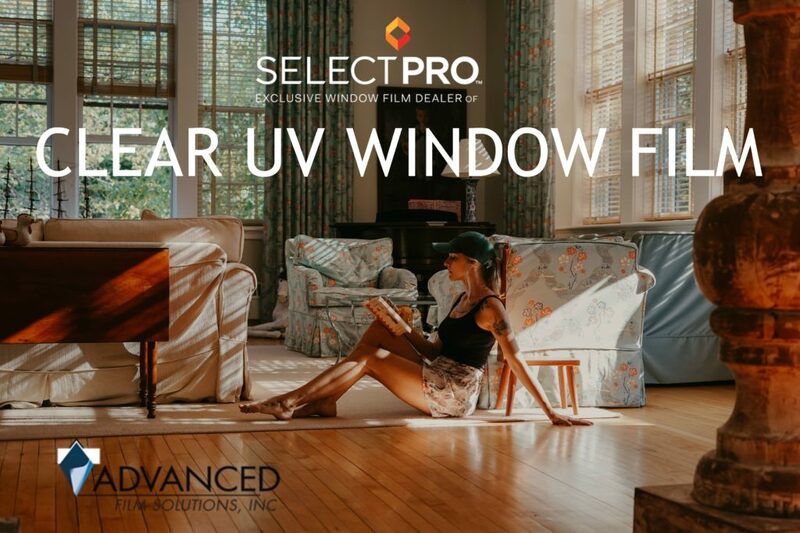 Advanced Film Solutions represents the Eastman Chemical’s Huper Optik IR heat blocking solar films. 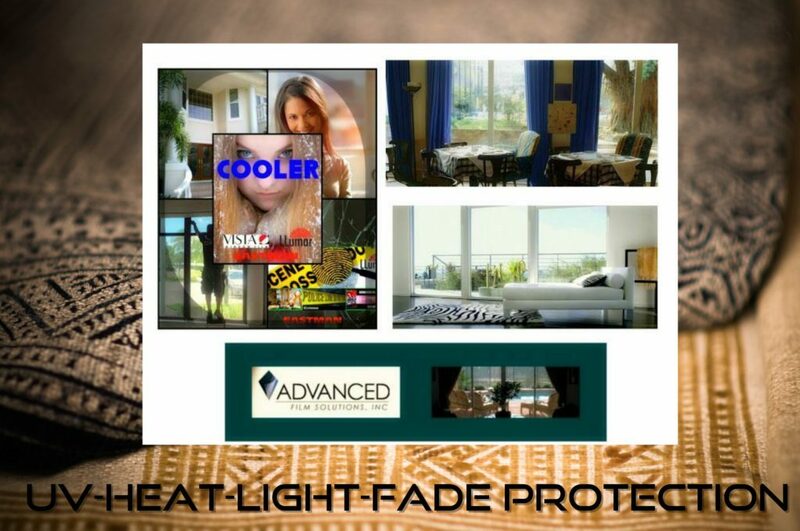 Huper Optik is available in multiple light transmissions that attack visible and IR heat. The ceramic coatings are responsible for light filtering rather than dyes. 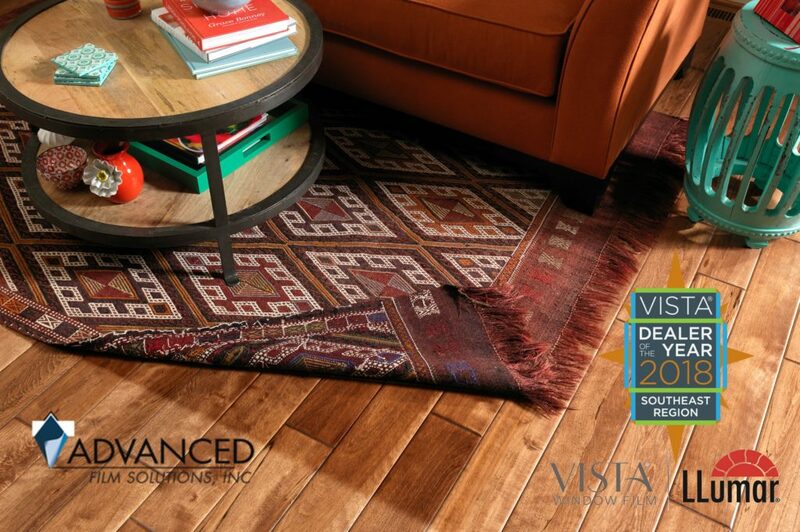 Dyes will color migrate and fade in a short amount of time. It may also be the case where surface applied dyes are easily scratched from the film. 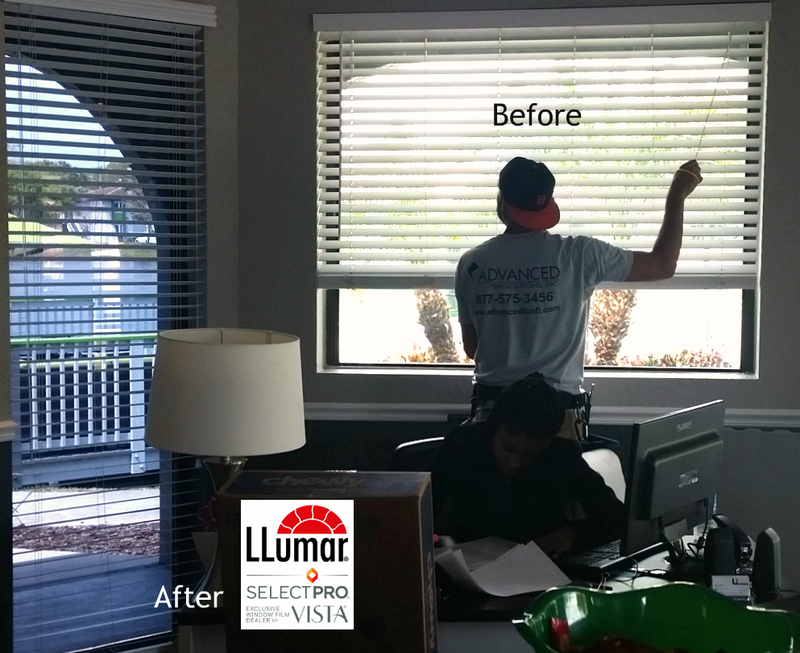 Petented Huper Optik is 100% dye free and the combination of visible light and IR rejection is unsurpassed in the industry. IR heat lamp gimmicks will appear to demonstrate superior heat rejection but the sales demonstration is an illusion. 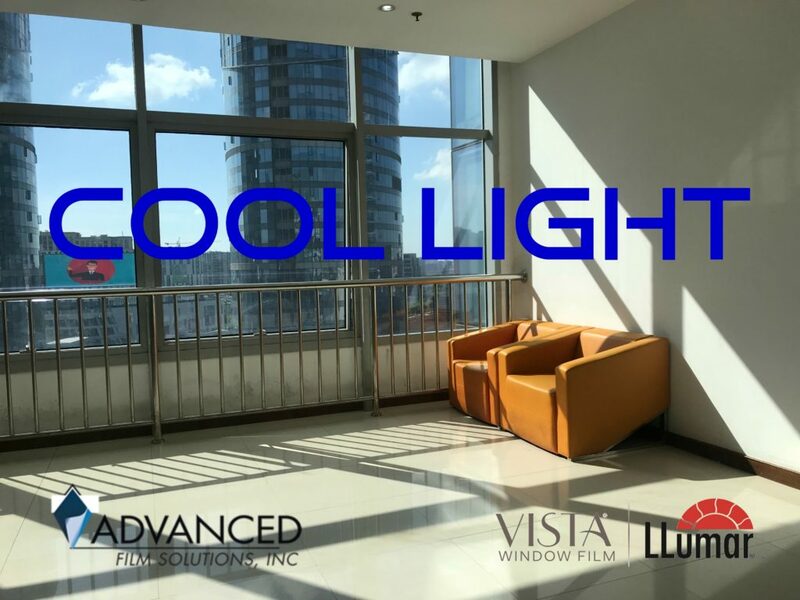 Since visible light represents 50% of total solar energy any IR heat lamp demo is automatically leaving out 50% of the typical homes heat gain. 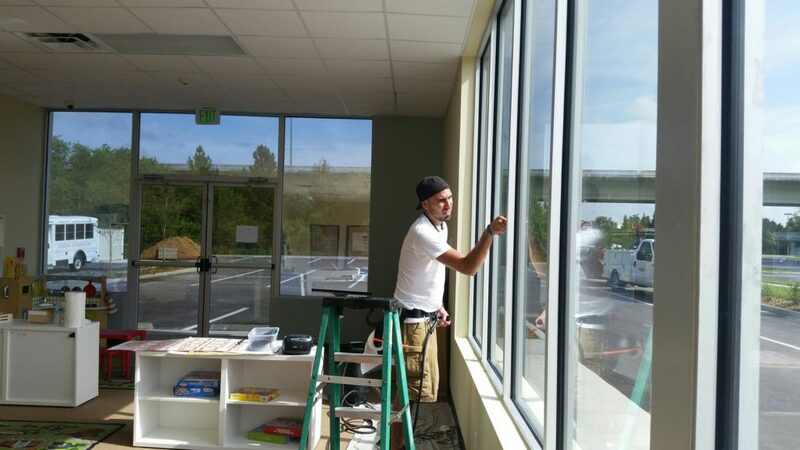 All window film works better when the sun is at an angle to the windows. There is no film that provides any additional capabilities compared to another at an angle. 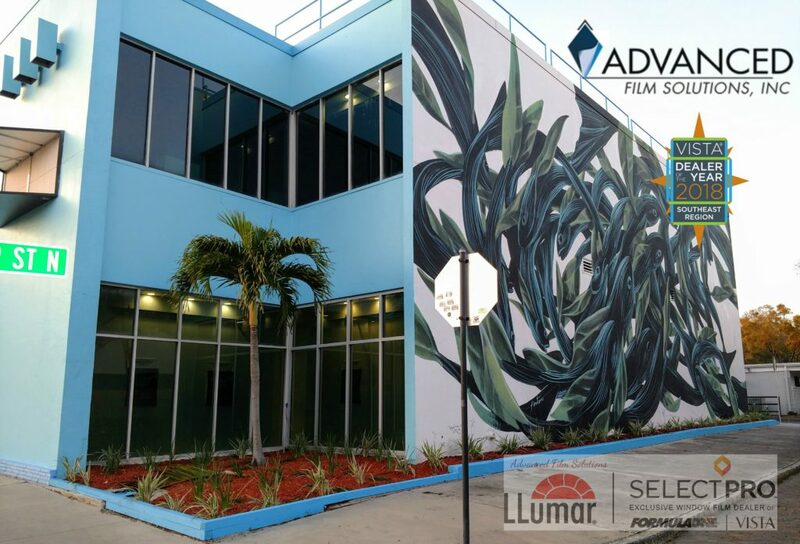 Advanced Film Solutions is your best solution for lighter high performing coatings. 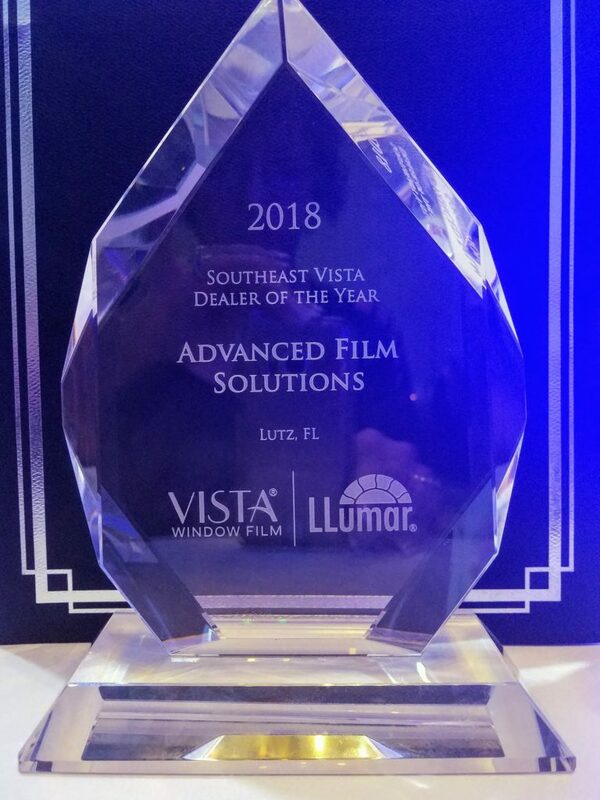 Advanced Film Solutions, with offices in Sarasota, Tampa Bay and Orlando is justifiably proud of our teams success over the last 12 years since leaving 3M Window Film. 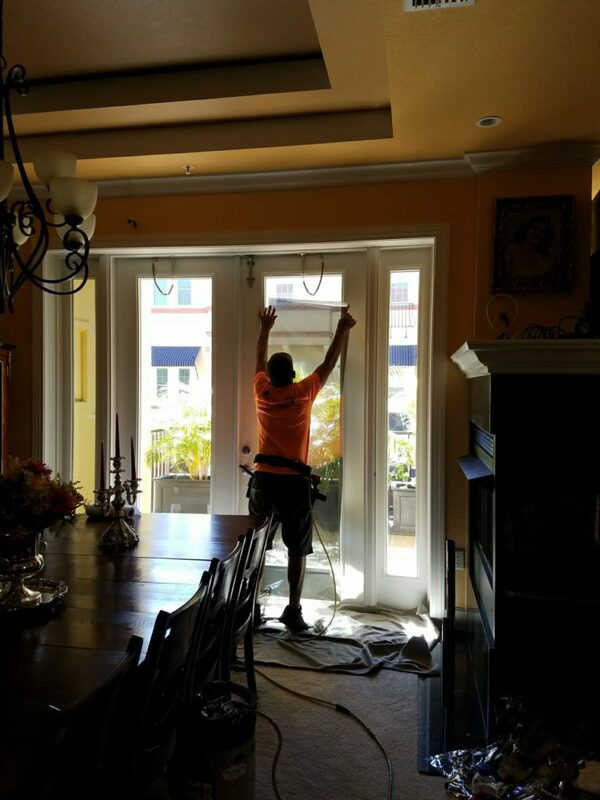 We have consistently striven to meet and exceed our customer’s requirements. 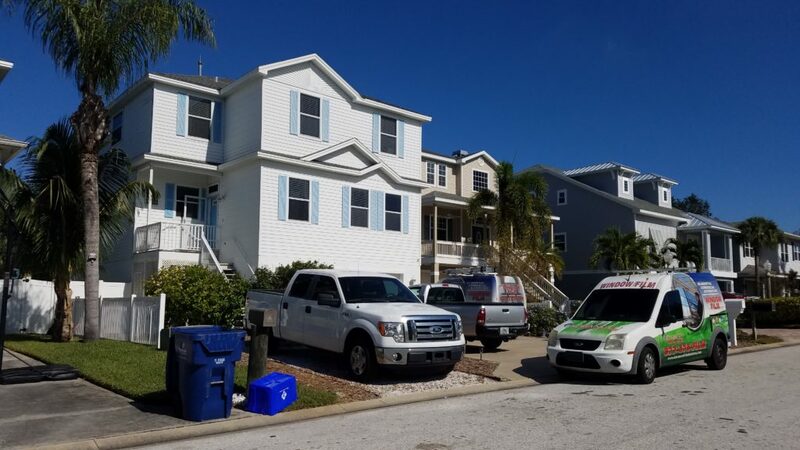 Our installers placed in the top eight in the world during the recent International tint-off contest in West Palm Beach and we have earned eight straight Super Service Awards from Angie’s List and an A Plus Rating from the Better Business Bureau. 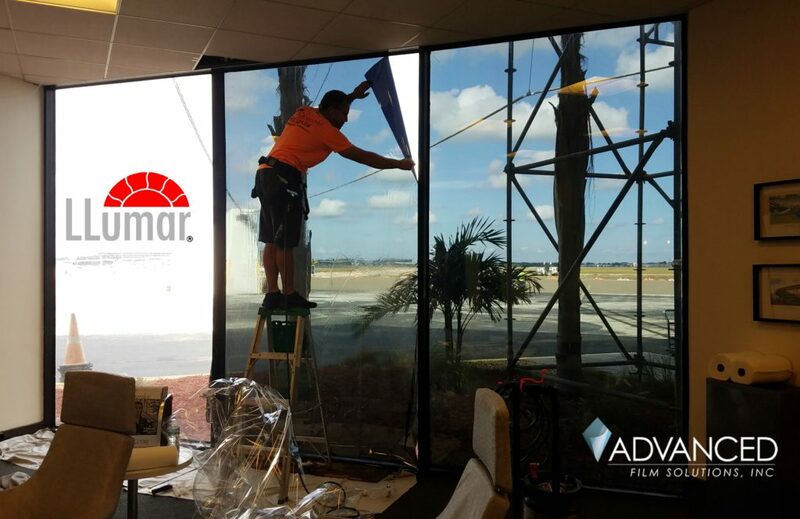 Superior installations and the capacity to handle any size job including airports, Universities and homes throughout Florida are just some reasons our clients trust their homes and offices to Advanced Film Solutions. 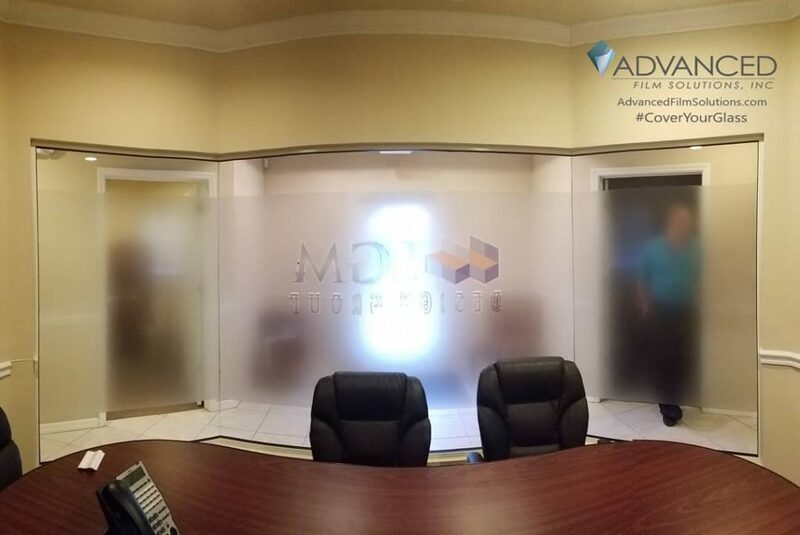 The window film we promote is an obvious essential component for our success. 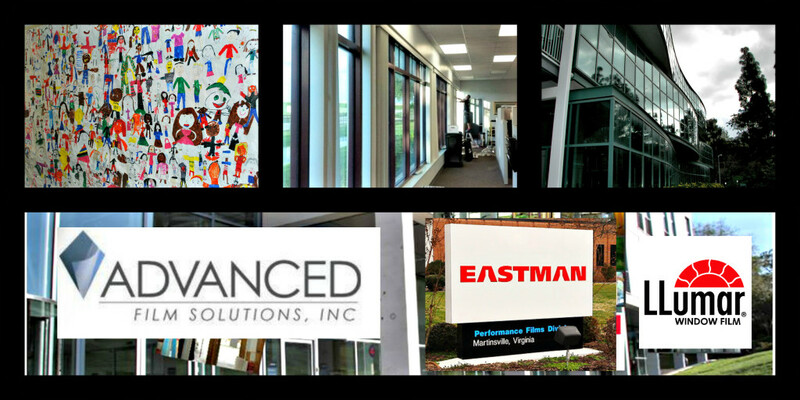 The Eastman Chemical portfolio of window film is unmatched in the variety of choices throughout their many leading brands. 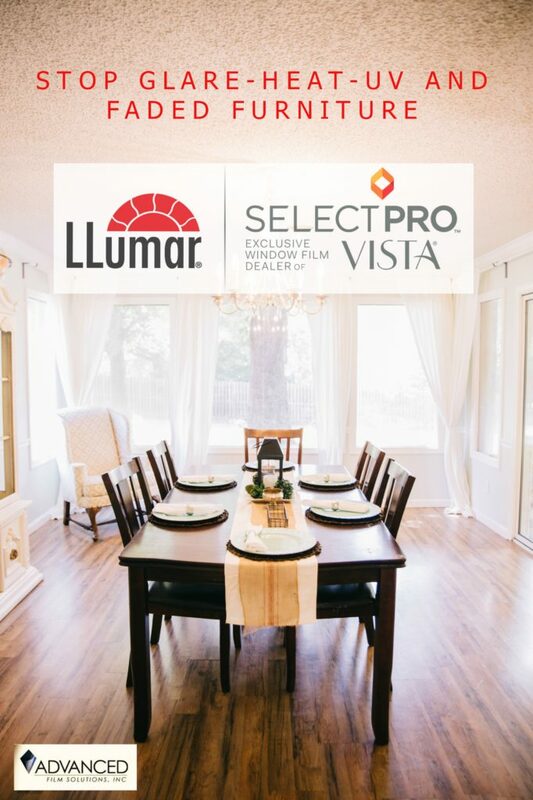 LLumar, LLumar SelectPro, Vista, Illusions, Huper Optik and SunTek to name just a few. 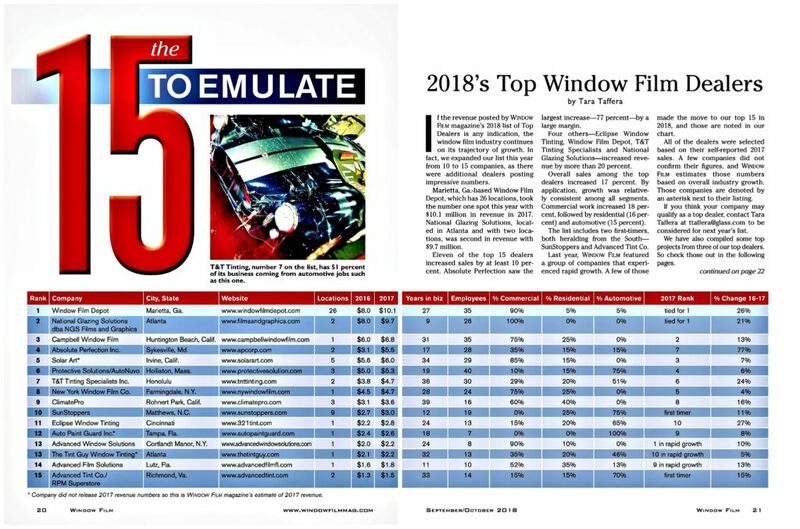 Eastman is the world leader in sales and technology in the window film industry. They have unmatched technology capabilities in thin film and coatings. 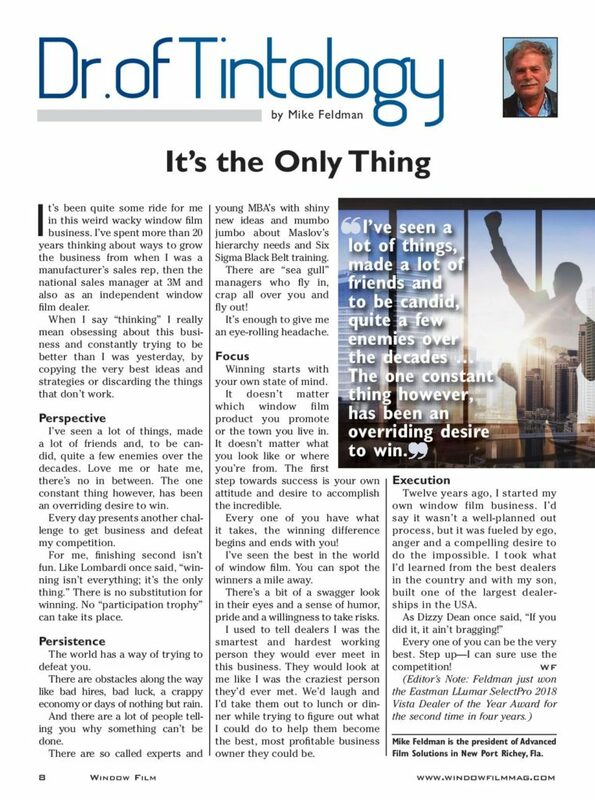 This innovative superiority equates to the performance on the GLASS. More choices and NFRC rated Coatings. 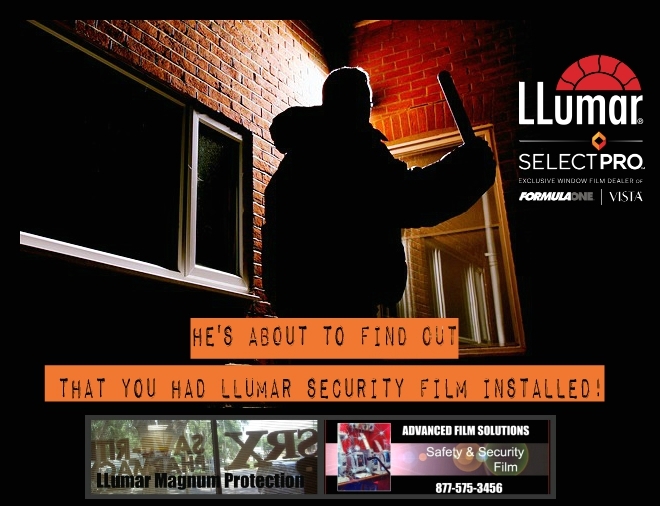 Best puncture and impact strength for security films. 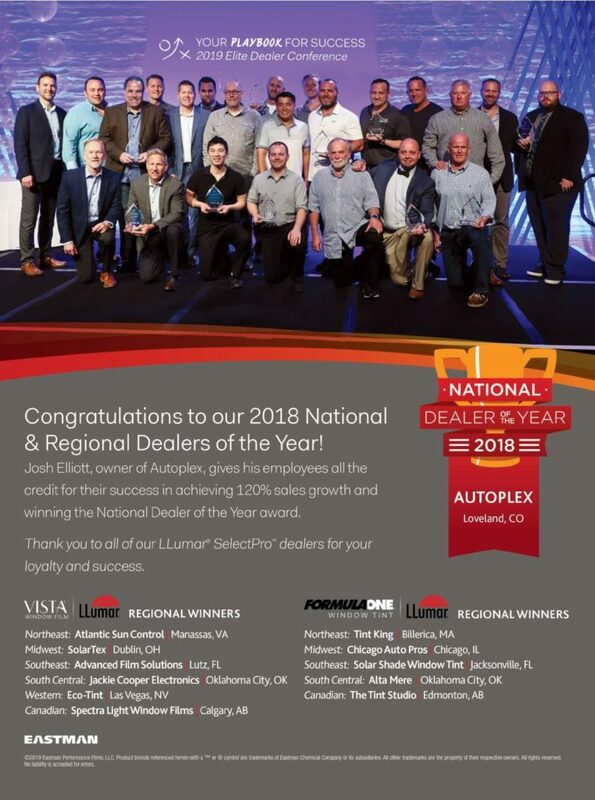 Leading position in automotive films like FormulaOne and LLumar. 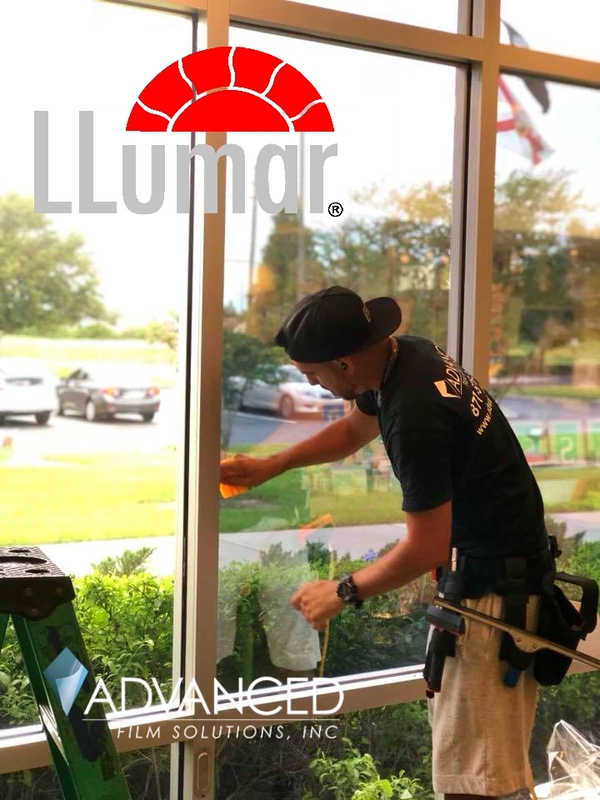 Solid financial strength that supports our lifetime warranty. 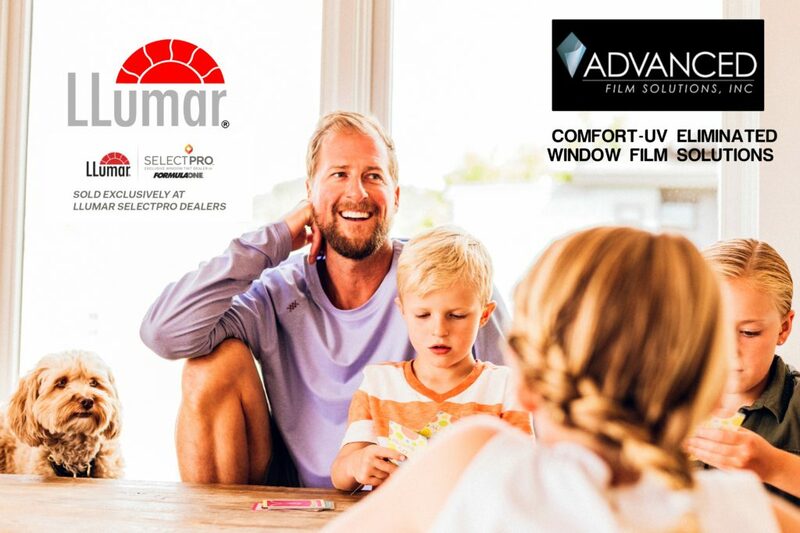 Get the Eastman Chemical’s advantage when comparing our window film selections compared to 3M or any other competitive window film. 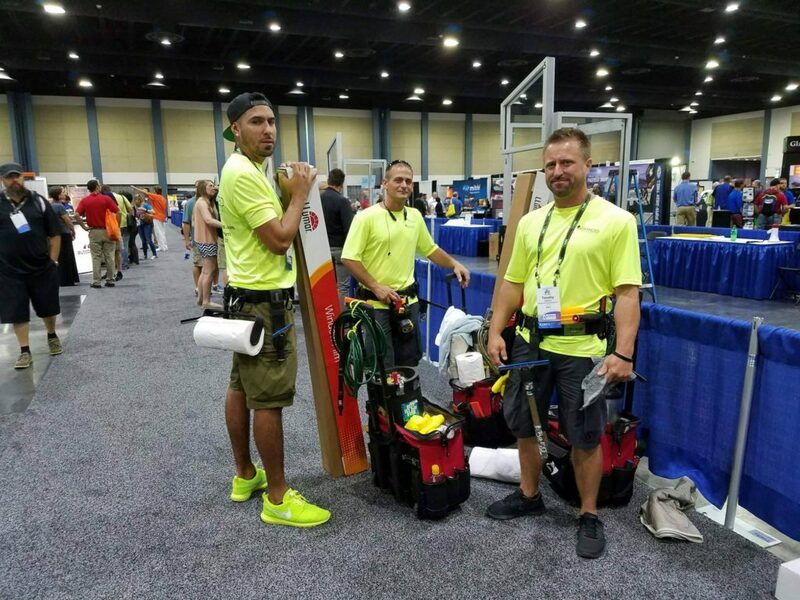 Visit our booth at the Tampa Home Show this weekend! As we bake away; many local homeowners are spending unbelievable amounts of money paying their monthly AC bills. 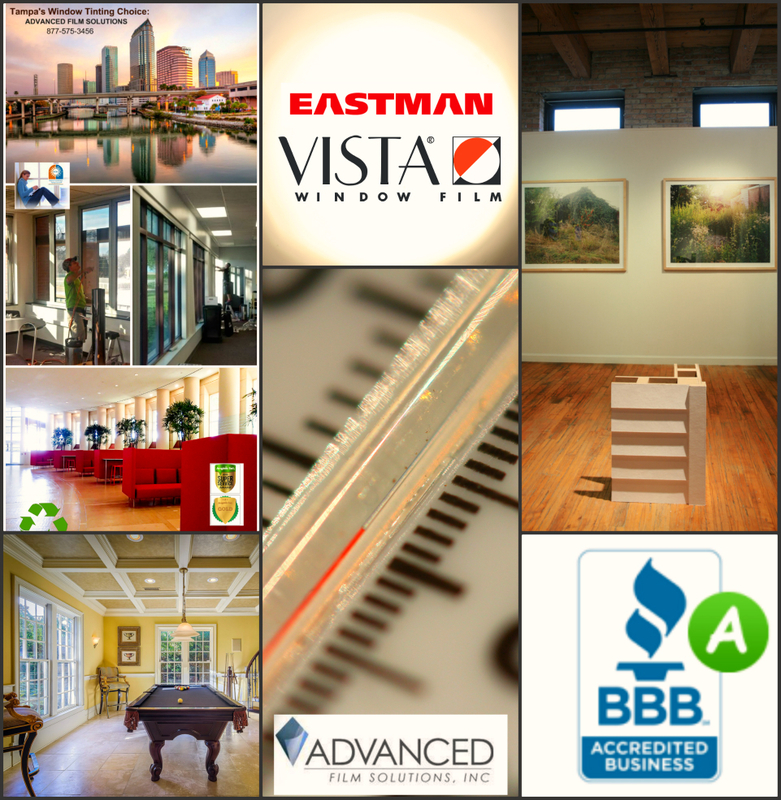 It’s not unheard of to see bills costing more than your first mortgage and some rooms in your home stay too hot throughout the day no matter how low you turn down that thermostat. 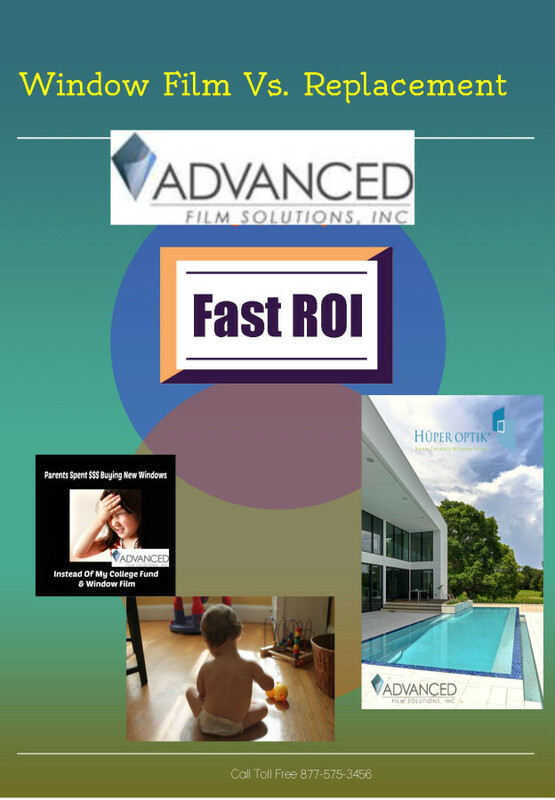 Advanced Film Solutions has the answer: High performance heat blocking window film. 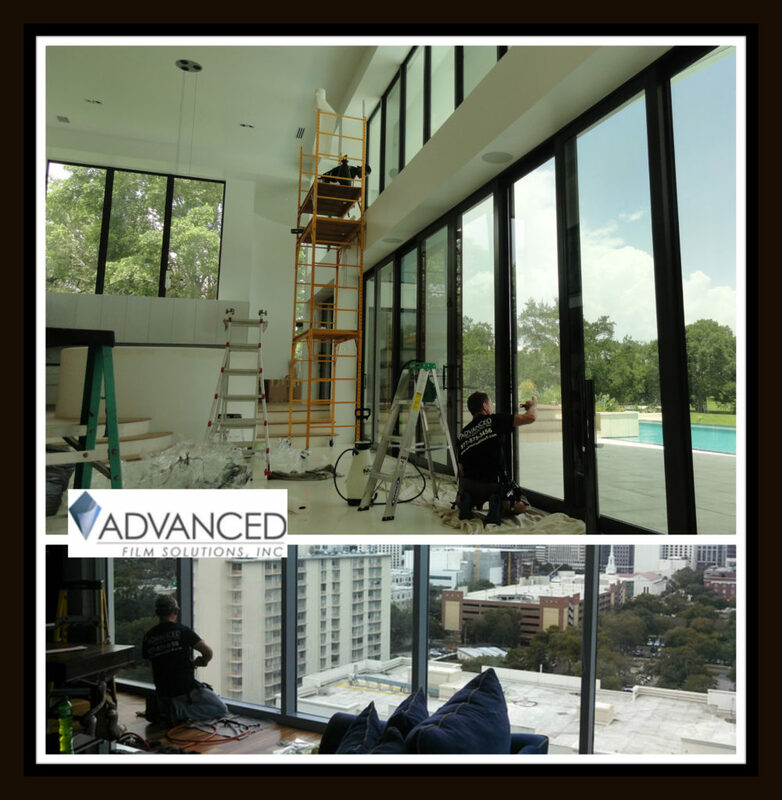 Our coatings are applied to the interior side of your existing windows and sliders. 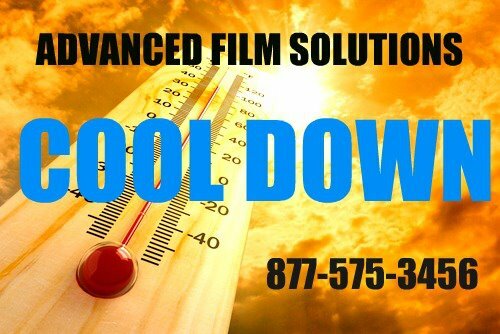 These films offer incredible clarity and high heat rejection. 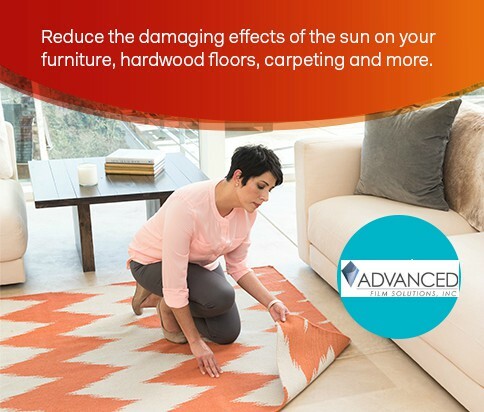 Imagine lowering your monthly bill by 30-35% and eliminating glare and 99.9% of the harmful UV rays that damage furnishings and fade wood floors and artwork? 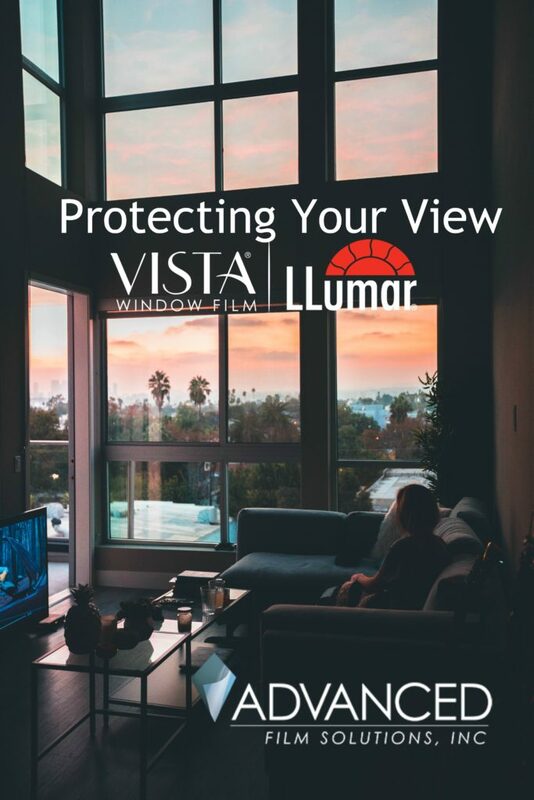 We also suggest thicker solar security versions that improve home safety and security by strengthening the integrity of your windows and doors against impact and intrusion. 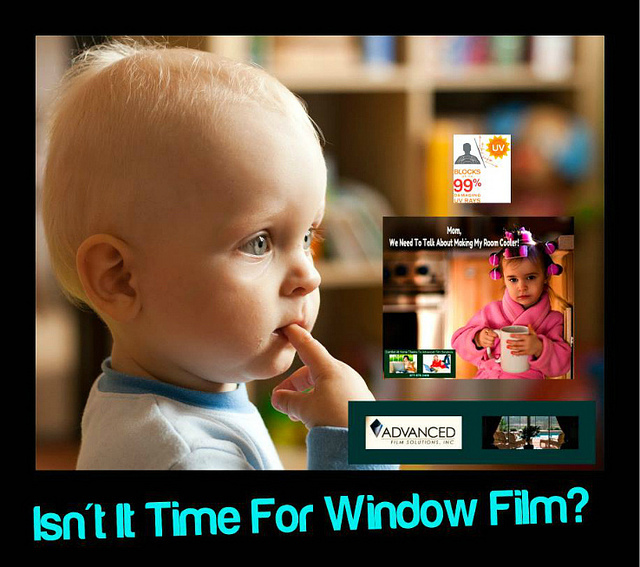 Lifetime warranted these films will make your home comfortable for decades to come! 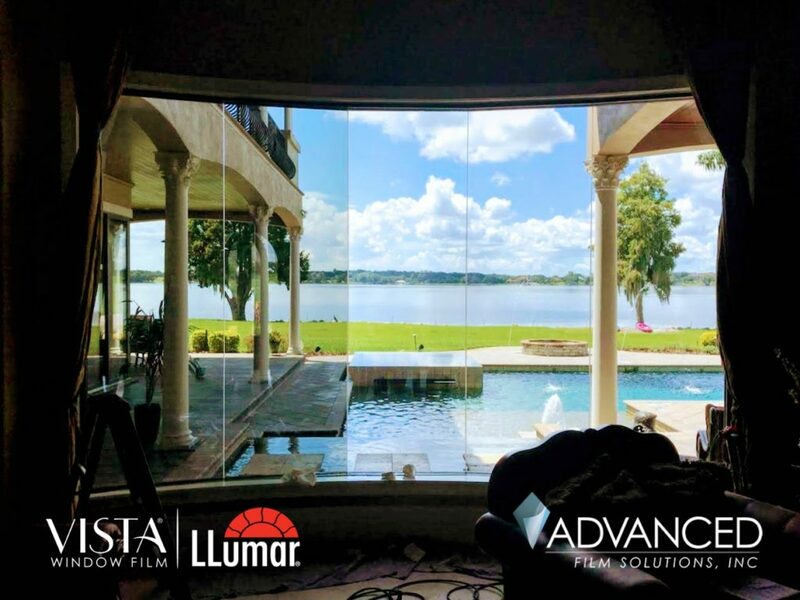 Eastman Chemical’s world leader in window film choices include Vista Film, Huper Optik and the market leader LLumar Select Films.